Blinding Edge Pictures | Pilchner Schoustal International Inc. 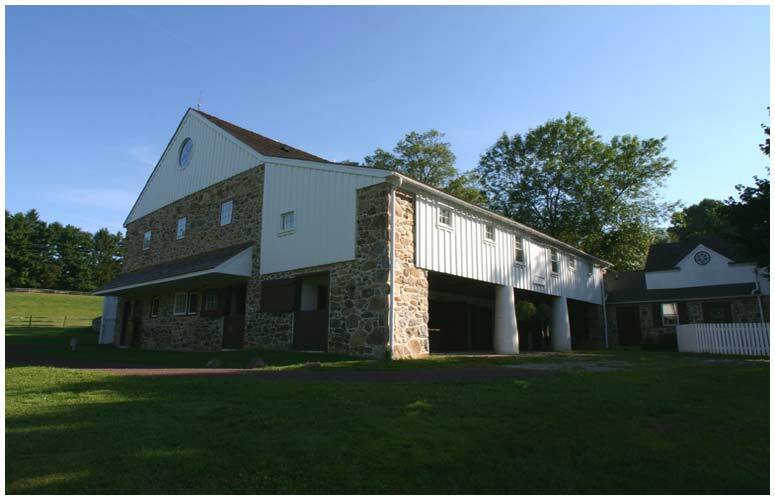 This project for M. Night Shyamalan involved the adaptive re-use of a historically designated barn outside of Philadelphia. 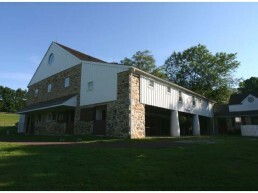 The exterior conditions of the building were restored and new additions were added for a projection room and a front entrance. All windows where recreated to modern specs and new window openings were created and integrated to match the period of the original structure. 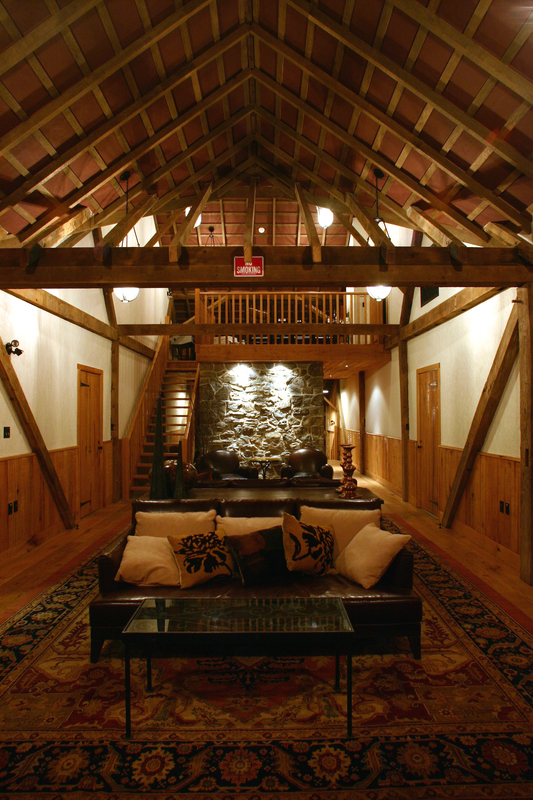 The interior creates an entire new set of spaces, sealed and vibration isolated from the existing structure, that still allow horses to stable on the lower level. 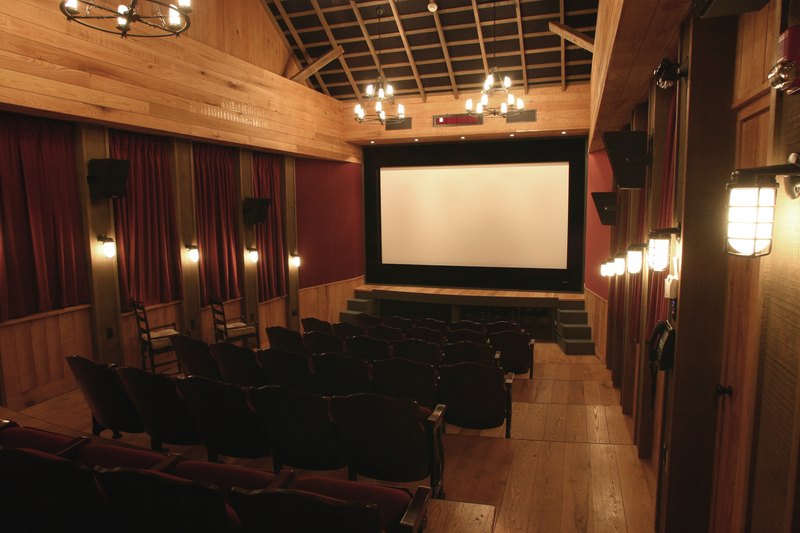 Above, the facility has an avid/audio mix theatre, a 45 seat screening room, an upper level film cutting room, washrooms, lounges, edit suites, kitchen, machine rooms and a main projection room. A large power system was brought to the building via underground to a large technical power system. 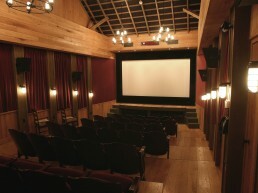 The projection room features two Kinoton film projectors and a Christie Digital 2K. 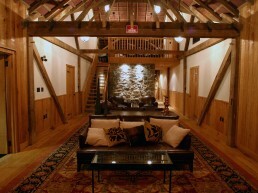 The building has hosted teams from Skywalker Ranch during collaborative work on film projects. Our involvement in the project was turn-key, from design to construction management, equipment procurement to integration and systems calibration. 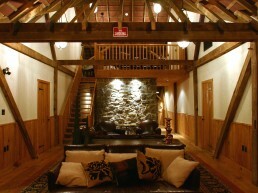 The gallery images display the edit room which is split in two levels with the rear of the room serving as the main editing area for making cutting decisions between Night and the edit staff. 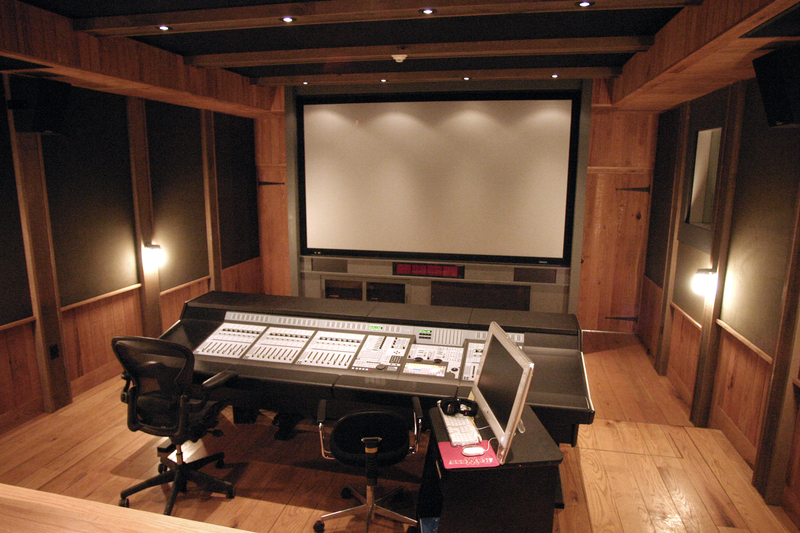 The front area is the audio mix area which is fully Dolby calibrated and is used for audio mixing. 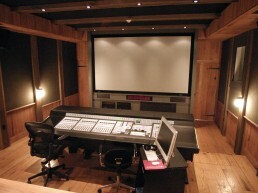 The front left corner shows the entrance to a dedicated isolation booth often used for quick ADR takes. 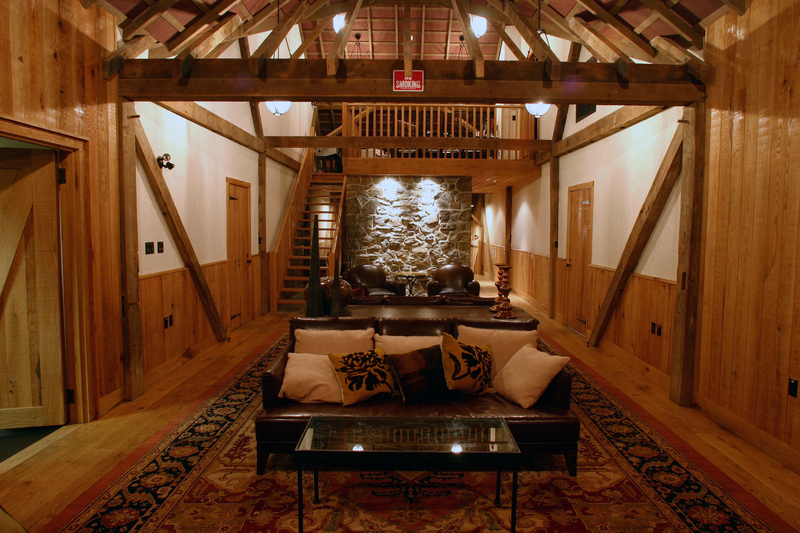 The intent was for the finished space to feel like a barn, hence the wood floors and rough wood trim. This entire room is floated separate from the existing structure and has extensive cable management abilities. Projection in this space is with a RUNCO projector and Stewart microperf screen. The room also features three windows cut through 2 foot thick stone wall. The windows have electrically operated black out blinds when necessary. 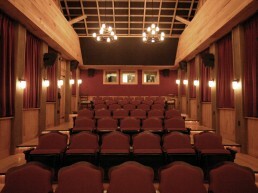 The far right shot is of the main screening room (45 seats). 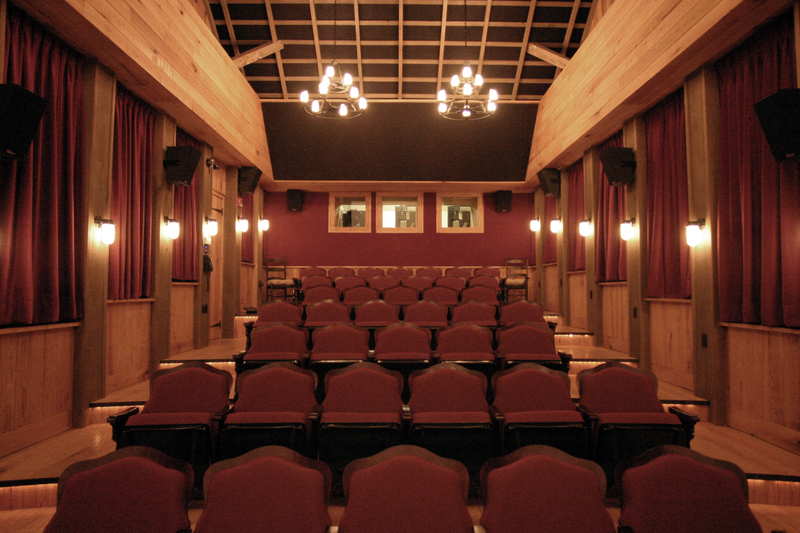 To accommodate the projection room for this space, an addition was built onto the front portion of the roof. This room is completely separate from the building. Mechanical of NC-15 is integrated into the building with the modern look of this made invisible in the context of the space. Six separate HVAC systems are used throughout the facility as well as a hydronic heating system.